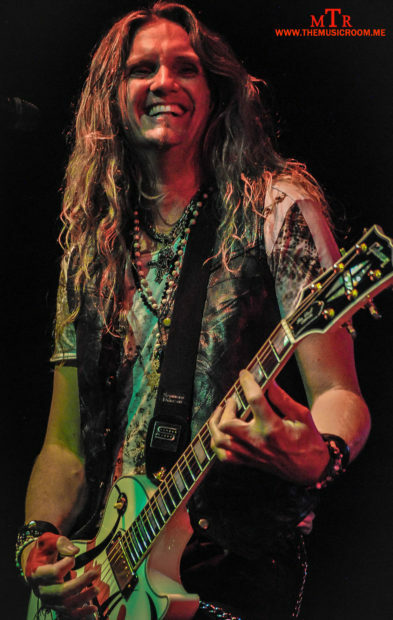 Joel Hoekstra has played with such amazing artists as Whitesnake, Trans Siberian Orchestra, Night Ranger, and even Cher. He has also played on Broadway for six years in the production of “Rock of Ages,” and even had a cameo in the film version as well. It is safe to say, there is not much Joel Hoekstra has not done. 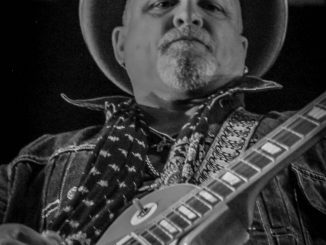 Now the rock n’ roll faithful of Cincinnati are getting a special opportunity to see Joel along with our friend Brandon Gibbs in the intimate setting on the Never On Sunday stage at MVP. Joel was kind enough to talk to us here at The Music Room about the upcoming show. During our chat, we discussed his dedicated work ethic, the current status of Whitesnake, and Joel even shares one of his Spinal Tap moments with us. 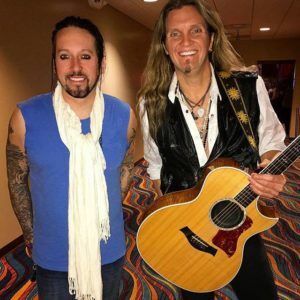 I knew how talented Joel Hoekstra was prior to our conversation, but afterward, I was even more impressed by how genuine and passionate he is as a person. 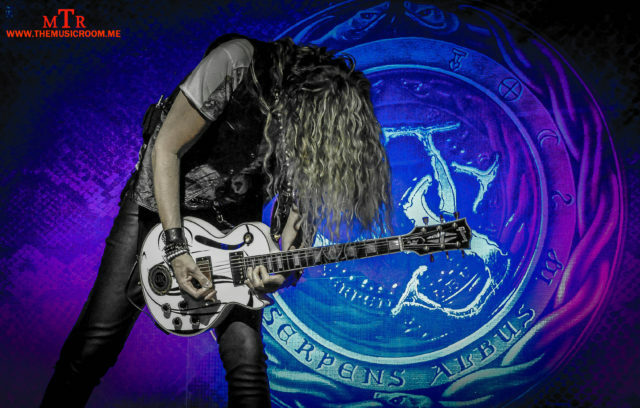 Without further delay, here is my conversation with the one and only, Joel Hoekstra! The Music Room: Hey Joel! Hey man, I really appreciate you taking a few minutes to talk to us. I know you are a busy guy. There is a lot of stuff I want to touch on, so I am just going to dig in with the most recent. How was the experience of playing with Cher in Vegas these past few weeks? What was that like for you? 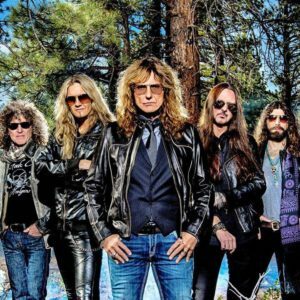 Joel Hoekstra: It was man, it’s really great timing because Whitesnake is not out, and it’s just temporary so it was fun for me. It’s not like I had to join a new band or anything like that. It gave me the opportunity to go out and play big shows. The audiences were huge. It was like over 5,000 a show out there. I got to stay in one place in Vegas the whole time, and of course wrapped it up by doing the Billboard Music Awards. It was great exposure, and all of the musicians are great. There was lots of good stuff about it. TMR: Now how was it to prepare for that? Because obviously, she has a long list of material to draw from. JH: Yeah, well the show’s been in place. I went out there to fill in for Dave Barry, who’s playing for “The Voice” right now. He’s an awesome guitar player. They were really good to me. The music director got me a mix with him really high up in the mix and just did it really old school. Just the way you learn songs off of a cd or something, you know? I just sat and learned exactly what he was playing and went out there really prepared. It’s just about trying to make everyone else comfortable than trying to get your own stamp on it or anything like that. It’s about going out there and playing the show really solid and making sure that everybody feels comfortable that you’re going to nail it. 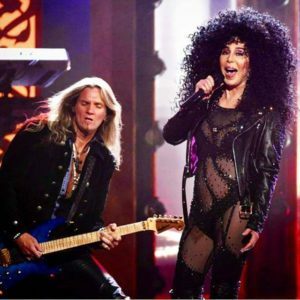 TMR: It’s kind of cool to think about Joel Hoekstra sitting down learning a Cher song like I would sit down to learn an Aerosmith song…that’s pretty cool. JH: (laughing) There’s more challenging stuff in there than some people would realize because a lot of the stuff is set for choreography. So it’s not challenging in a shred sense, but it’s challenging in a memorization sense. Some of the material was harder than you would think. TMR: Well, one of the reasons that I really wanted to talk to you is because here in a couple of weeks you are going to be coming to town with a friend of ours, Brandon Gibbs at MVP’s in Cincinnati, OH. I wanted to hear about how you and Brandon got hooked up and what we can expect from a show with you two together. 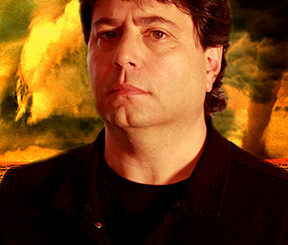 JH: We met on The Monsters of Rock Cruise, which we both pretty much do every year. Brandon is a great guy. My rule of thumb is if I’m available, I just like to work with people who I get along with and have talent. So Brandon and I just started out by playing some of these shows together and they’ve gone really well. We have a great time. We, of course, play some Whitesnake. We play some Poison stuff because of his experience with that band. 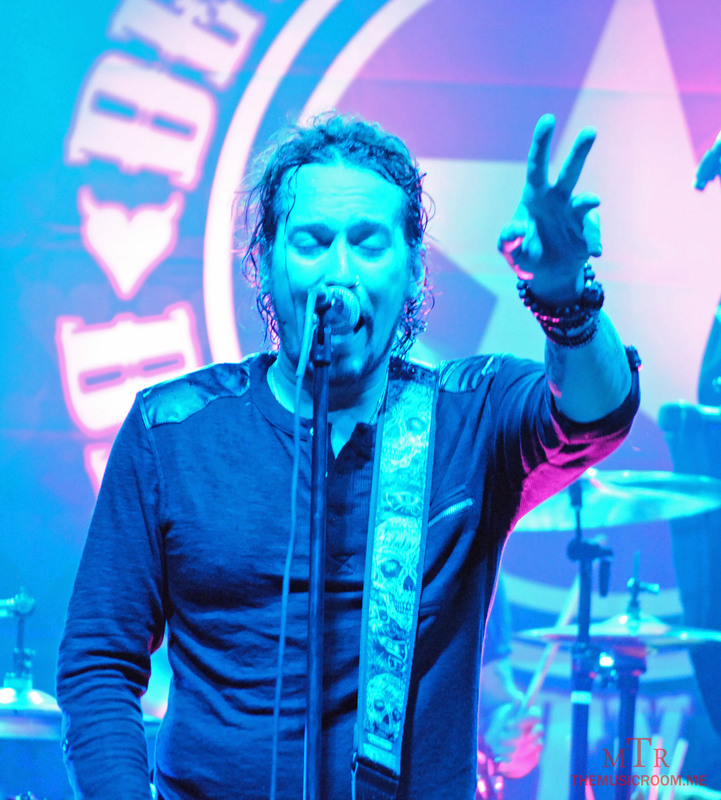 We play some Devil City Angels, the band he had together with Tracii Guns and Rikki Rockett, and some of his newer stuff. So it’s kind of a mish mosh of stuff with a couple of covers that we both dig thrown in. It’s a night for people who have seen me with bigger bands like TSO (Trans Siberian Orchestra) or Whitesnake, to meet me and hang in a little more of an intimate setting. And it gives me an opportunity to be out and about and keep my chops up. Like I said, playing with somebody who I get along with…for Brandon, he does a lot of these on his own so its fun for him to have someone else to fill it in. We both really enjoy it, man. TMR: We kind of consider Brandon family here in Cincinnati. When Devil City first hit the road they played MVP’s and he has come back quite a few times and it’s always special. Now with you joining him, it’s even more special. I know people are looking forward to it. 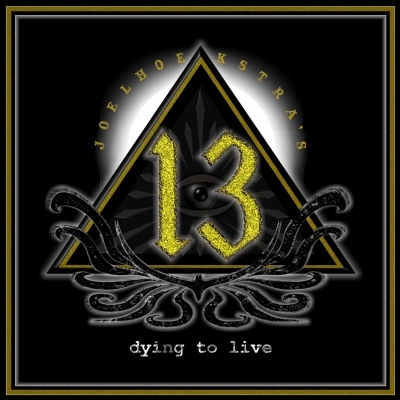 Now, will you be playing anything off the Joel Hoekstra’s 13 album? JH: I can ask Brandon about that. We haven’t gone there yet. I’ve just been kind of saving that stuff for when it’s that band, but I’m not opposed to it. TMR: Will that band do any touring? Or are there any future plans? JH: I think we’re talking about The Monsters of Rock Cruise and doing that again in February of next year. We’ll see if that works out or not. It’s tough man. Everybody’s busy, especially Russell Allen who that kind of hinges on. I mean, Russell’s got Adrenaline Mob and Symphony X…and Trans Siberian Orchestra with me as well. So it’s one of those things where everybody’s busy and it’s hard to expect too much out of that, but I definitely enjoyed making the album and there may be another one in the future as well. TMR: I’m ashamed to say that I just discovered that record a couple of months ago, but now I really hope we do get another one. TMR: You mentioned TSO, when in the year do you get back together with them and figure out what the plan is for the next run? JH: They haven’t made any official announcements as of yet, so I am just going to leave all of that up to management to fill everybody in on what the plans are. But obviously, my fingers are crossed that I’ll be heading back out with it again this year. That is something I am very proud to have been a part of and I hope everything keeps going. Without Paul O’Neill…it’s a very sad thing to lose Paul. He was a wonderful guy and a great influence on me. He was someone who really believed in me. He was someone who lifted us all up. Sometimes we would look at him and say, “You really think I’m that good?” He just believed in us so much. He was a positive influence on me and many people. He will be sorely missed. Everyone involved is hoping we can keep it going. TMR: I know Paul was very gracious to me. I mean, I’m just a smaller type website but he welcomed me to be a part of the media teleconference for the past two tours. There were a lot of big newspapers there, but he treated me the same as them. So in a very small way, I can relate to what you are saying. You have to think that there will be something special this year from TSO. JH: Me too. Like I said, my fingers are crossed. TMR: Okay, I have to ask. You mentioned that Whitesnake is not really doing anything right now. Are there any plans for the future, or do you kind of wait to see what David is thinking? JH: Oh, we’re doing stuff. We’re just not touring. But we’re writing and recording basically right now. In terms of intentions with all of that stuff, I have to defer to David to fill everyone in. It’s definitely no secret that we’ve been working on new songs and in the studio. But it’s all going great man. There’s so much we’ve got going on right now in terms of songs. It’s craziness actually. There’s no shortage of it, and David is guns blazing right now. So while we are not touring, the band is very much alive. David is having a great time with this lineup. Just based on everything he has been saying, there’s still quite a future ahead. TMR: That’s awesome to hear. I am a guy who very much still lives for new records, so I am good with the not touring if new music is being made. You know, looking at your resume I have to ask if you ever have to pinch yourself when you think “I’m in a band with David Coverdale” or “I’m on stage with Cher” does that ever not get crazy for you to think about? JH: It’s kind of both all at the same time for me. There is definitely always an element of that I grew up admiring all of these people and I never really thought…I kind of came from a not too well to do Chicago suburban family. You’re not really supposed to make it out of there and do the stuff I’m doing so I feel blessed. So I have the opportunity all the time to go wow, it’s cool that I get to work with many of my heroes. But at the same time you kind of set that stuff aside because you realize that it’s all about how much work you put into it. In every facet of it. Not just how hard you work on the musical end of it, but in terms of the relationships and obviously behaving in a manner that’s conducive with people wanting you around. You know, professionalism and all of that. That stuff goes a really long way in terms of having people rely on you. Like I said, so much with the Cher thing, that’s people from my past history knowing that I can come in on very little rehearsal and play something. You understand that once you have 5,000 people in an audience for a night there is a lot of money that has been paid. If somebody goes out there that they can’t rely on that their bringing in as a stranger…there just has to be that element where people can go yeah, we can count on him. This guy is going to come in and do a good job. So that’s a big part of it. And that goes across the board. Nowadays with social media…if I’m someone who represents Trans Siberian Orchestra or Whitesnake that I’ve been doing, you don’t necessarily be overly outspoken online in terms of opinion on controversial stuff. It’s realizing that yeah, I may want to shoot my mouth off but I’m in no position to do so (laughs.) It’s understanding when to reign it in and go, all I really want to do is make a living playing guitar. I’m blessed to do this. I’m blessed to be healthy every day and wake up to be alive and have my family. That’s kind of the modern day rock star thing I think, just to be able to do it and make a living out of it. TMR: I think you kind of already touched on the next question that I have for you. Every time I see you play, whether it be with Whitesnake, TSO or even in photos you are always smiling and look like you are having a blast. The question was what keeps you up like that…what keeps you smiling. But I think you already alluded to that with the gratitude you have for making music for a living. JH: Yeah, I think that’s a big part of it. And also just enough time spent that you get comfortable with it. I think when people are first on stage they’re usually staring down at their hands and they are not interacting with the crowd. It’s not an interactive experience per say, and you have to have it be that because people are there and they don’t want to be looking at someone staring down at their hands disconnected from them. The more you do it, the better you get at connecting with the audience during a show. For me, a whole lot of that was just trying to make it visually interesting for people, but also relaxing and letting people know I’m having fun. I’m just totally taking myself serious. I am in terms of doing a good job for the bands that I’m working with, and because I feel lucky to be there. I definitely don’t feel too cool for school or anything like that. TMR: Now with all of your history…no matter how much we all try to do our best, every once and a while something happens. Do you have any personal Spinal Tap stories? JH: Oh man, how much time do you have? (laughs) There’s a lot of them. I’d say the biggest Spinal Tap moment would be the arms that go out…the Kiss lifts basically, during the TSO shows that go out over the arena. So I would go out on that a couple of times during the show. The last song, “Sarajevo,” basically I’m coming back and I’m thinking I’m normally a little further back to the stage by this point of the song. Then I realize my lift is moving really slow and something is wrong. The other lift which moves symmetrically with mine is almost back and down, and this is the last song of the show. So the show finishes with me still in the air drifting slowly back towards the stage, the band is taking the bow already and the audience is kind of laughing. And there I was above everybody drifting back down towards the stage. It was so Spinal Tap. Very Stonehenge. TMR: You have done so much in your career, and have worked with so many amazing people. We have only scratched the surface here. Are there any bucket list goals that you have for yourself? Or any dream projects? JH: I just usually focus on being productive every day as much as I can with what I’m doing. That will take me where it goes. The rule of thumb being I like to work with talented people who I enjoy being around as well. Some of the things I’ve done in my life you can’t really go after…like if I said I want to be in a Broadway show about the eighties hard rock scene. Just think how insane that would have sounded. But “Rock of Ages” was a real blessing for me doing that for six years in New York and being able to take off whenever I needed to tour. That really changed my financial reality, and basically gave me a gig every day for about six years. And again, I never would have said I want to be in a Broadway show. Like no way, what are you talking about? I just want to be in a band and play guitar, right? Again, there’s something that through true hard work really came along and changed my life. So I think it’s more about being ready and being productive and taking the stuff as it comes. TMR: You got a film credit out of that too didn’t you? You were in the movie version, right? JH: Yeah, different thing. In the show, I was on the stage the whole time with the band. Unfortunately, they kind of re-wrote that for the movie and tried to make it PG so they took a lot of the raunch out of it. I wasn’t a big fan of the movie. But I did do a cameo in it and the life experience shooting that was a lot of fun. Hanging out with Sebastian Bach, Nuno (Bettencourt), Kevin Cronin and Debbie Gibson all week, or three or four days in Miami while we shot that scene. So that was worth it right there hanging out with them. We did a little concert for the actors, so there were a lot of little fun life moments that came out of it. TMR: That’s really cool. It really sounds like you look for the positives in all situations. JH: That’s the key in the music business I think, and all gigs. As the years have gone by I have learned to focus on everything that’s good about your gig. if you focus on what’s bad about your gig you can really start to bum yourself out and drive yourself right into the ground. There’s always something to focus on that’s negative. If you give someone a million dollars, they want two million. So there is always that. That’s why it’s better to look at the good at what you’re doing and roll with that. TMR: Joel, I can’t thank you enough for taking time out to talk to me. 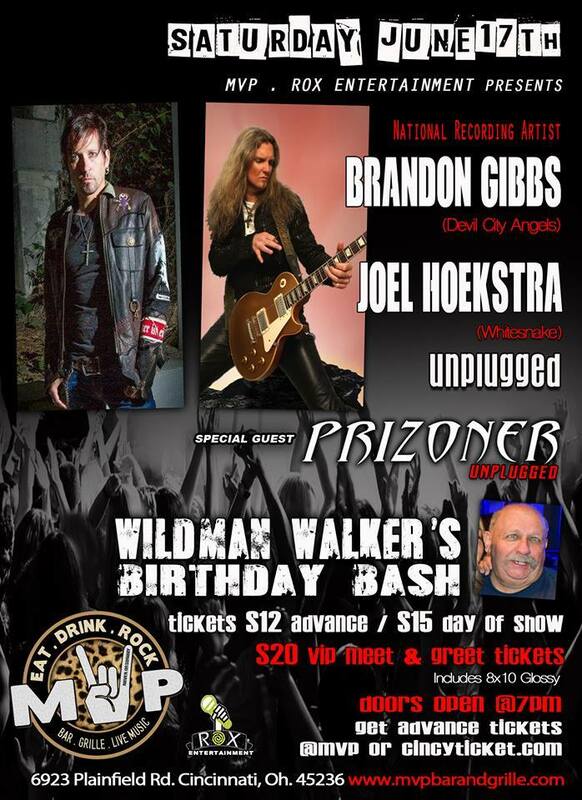 We are all really looking forward to seeing you and Brandon here on June 17th at MVP’s in Cincinnati. I think it’s going to be an amazing night. JH: Oh yeah man, me too. I look forward to meeting up with everybody.